What is a medial meniscus injury? 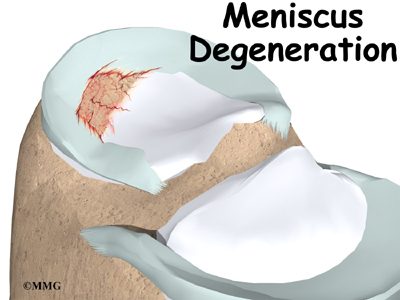 The medial meniscus is more prone to injury than the lateral meniscus as it is connected to the medial collateral ligament and the joint capsule and so is less mobile.（很好的解释了为什么内侧半月板较外侧半月板更容易损伤） Hence, any forces impacting from the outer surface of the knee, such as a rugby tackle, can severly damage the medial meniscus. In addition, medial meniscal injuries are often also associted with injuries to the anterior cruciate ligament. 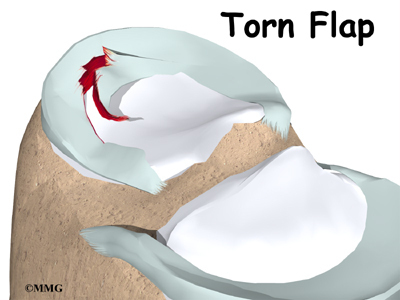 Other mechanisms of injury may be twisting of the knee or degenerative changes that are associated with age. 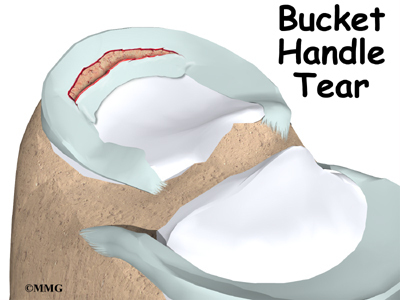 Any of these circumstances may lead to tearing of the medial meniscus, which in serious cases may require surgical intervention. A positive sign (pain and/or clicking noise) during a "McMurrays test"